We had an absolute blast. 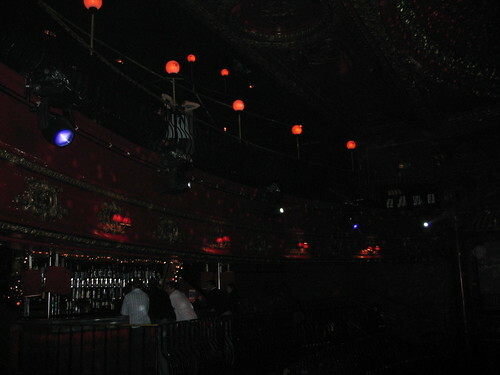 The music was beyond spectacular – according to BDD’s promotional materials, "club founder Dollyrocker mashes up Eclectic Pop, Indie, Punk, Electro, Funk & Disco, although you might also hear some Dub, Reggae, Ska, Soul, Motown, Psychedelic Garage Rock, Bubblegum Pop, Baile Funk, New Wave, Neu-Rave, One Hit Wonders, Breakdance, Quirky Cover Versions, J-Pop, Hip Hop and Mash Ups." I don’t even know what all those are, but I know I loved the music and so did the other 2000+ people rocking the night away. It was really fun to see our friend Chris being an amazing DJ, making everyone so happy and enjoying the heck out of himself as well. They also had an amazing DJ hidden up in a little room by the roof, spinning some delicious funk – just as eclectic but in a different vein. Here’s some stuff from Buttoned Down Disco’s website. 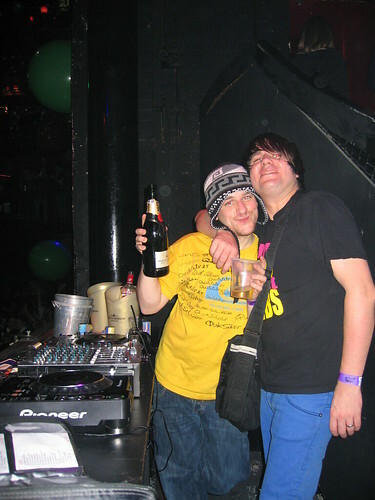 An explanation of the philosophy behind BDD: "Buttoned Down Disco have been running parties in London for over five years now. Originally, we felt that a lot of clubnights in London were boring and pretentious, so we decided to be proactive and start our own night and play the music that we loved. We also made the parties invite-only, meaning that we kept the random passing trade [passers by] out, but kept the music lovers in." An explanation of how the FNYE party got started: "We thought it was shameful how clubs charged loads of money to get into a night that was rubbish anyway, and it would be fun to take the pressure off NYE by having a big party the night before instead! 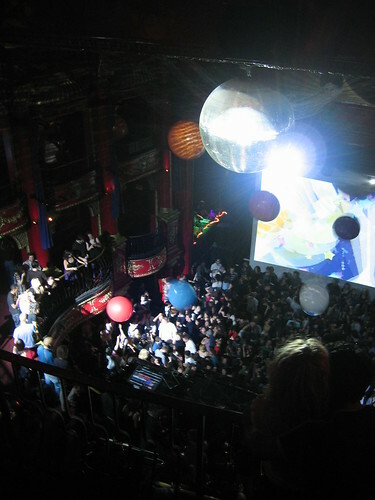 "Rather than offer over-priced, over-hyped nights out, we bring you London’s biggest party at London’s best venue and keep firmly to FREE entry before 10pm, then £7 afterwards, and have the venue selling decent drinks offers until midnight, plus more giant balloons, free badges and swirly visuals than you can shake a stick at. The original F*ck NYE is still the best!" If you’re in London you should definitely check out their parties… they’re by invite only, so request an invitation!